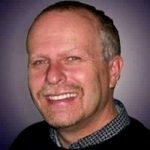 Conclusion – Will The Peavey Max 115 Work For You? It doesn’t matter how great a musician is if their fans can’t hear them play, which is why buying a quality amp that is durable, easy to use, and offers incredible sound quality is important. No matter whether you are more interested in playing by yourself and recording your own music or you play in a band, having a high-quality amp will make creating your best music easier than ever. Amplifiers are designed to increase the volume of your music, but you shouldn’t have to sacrifice music quality in order to do so. Musicians who are looking for a durable amp that is easy to use and offers great sound quality may want to consider the Peavey Max 115. Like all other equipment and instruments produced by Peavey, this amp is designed to sound great and last for a long time. Thanks to Peavey’s commitment to quality, musicians who opt for the Peavey Max 115 won’t have to worry about overspending on an amp that will underperform. Research is important before you shop for an amp, as you want to make sure that you opt for the best amplifier for your needs and that you don’t overspend. By understanding the features and benefits of the Peavey Max 115, you will be able to decide whether or not it will work for you or if you need to choose something that is more expensive. While the Peavey Max 115 is an incredible amp that many people all around the world love to use, it’s important that you consider what you need from your equipment and decide for yourself whether or not this amp will be able to give you what you need. Peavey knows that a great amp will be beneficial not only to new players or more advanced players but musicians of all levels. Every bass player, whether they have just picked up their first bass guitar or have been touring for years, will love having an amp that allows them to increase their volume and gives them power and control over their sound. 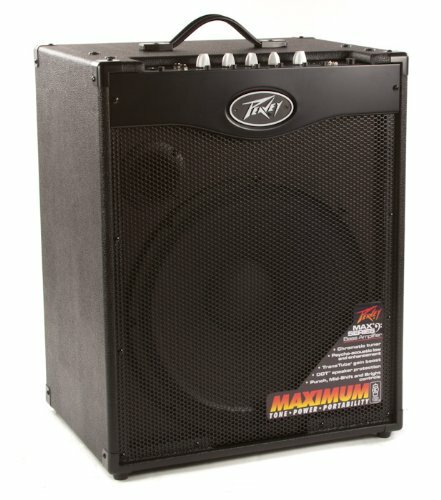 No matter where you are in your musical journey, you are going to want a powerful amplifier like the Peavey Max 115. Musicians who are going to be playing alone in their home, want to record, or want to play live with a band will need an amp like this one from Peavey. That’s because a great amp is really the only way to make sure that all notes, sounds, and tones are clear and easily heard. Churches commonly invest in amps like the Peavey Max 115, as it allows them to enjoy the music of their live praise band and to increase the sound so that everyone can hear the bass guitar and give a solid beat to clap to. Note: Please refer the Specification Sheet given below before use. 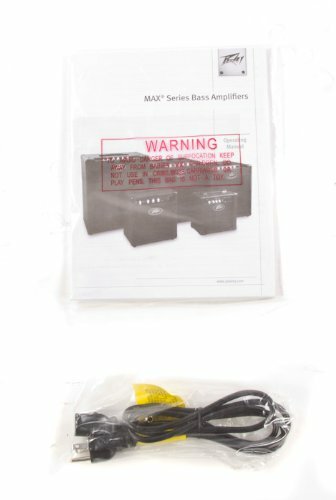 Just like other amps that you can buy, the Peavey Max 115 ships by itself with a power cord. It does have input and output jacks, which means that you can plug into the amp easily, but you have to have the right cords to do so. Luckily, most musicians already have all of the cords that they need, which means that getting started with this amp is easy. Thanks to the 15” heavy-duty woofer, the Peavey Max 115 does a great job with lower sounds and making sure that they aren’t muted or muddled. Unlike some amps that focus more on higher notes, notes all over the scale will be crisp and clear with this amp, thanks to the speaker protection, 300 Watts of power, and incredible controls. The 3 band EQ controls allow musicians complete control over their tone and will prevent anything from sounding muddy or too dark. Thanks to the high-end tweeter that has been designed to produce higher frequencies without sounding tinny or hurting the ears, anyone plugged into this amp can enjoy the full range of their instrument without worries. The dash on top of the amp makes it easier than ever for musicians to make adjustments to their sound while playing. The buttons are relevant and clearly labeled, which is great for beginners who may not yet have a lot of confidence when adjusting their sound. 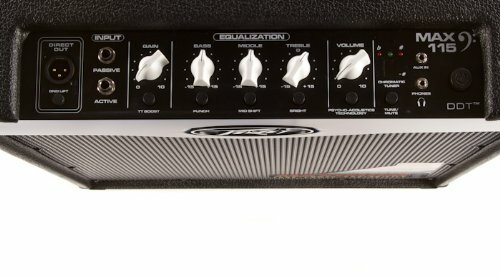 Peavey has mastered their TransTube circuitry, which allows for the sound quality of a tube amp without all of the problems that come with them. You’ll enjoy a real tube sound with incredible gain boost, while still taking advantage of the other benefits of this amp. If you like the sound and control that the Peavey Max 115 has to offer, but you are interested in something that is a little more powerful, then you may want to consider the Hartke HD500. This amp isn’t for everyone, as it does come with a higher price tag, but one great thing about it is that it offers incredible power. While it only weighs 35 pounds, it features 500 watts of power as well as two 10-inch hybrid cone drivers. This amp does a great job with lower bass tones, which makes it a viable alternative to the Peavey Max 115. The Peavey Max 115 is a powerful, durable, and reliable amp that is shockingly easy to use, which makes a great option for musicians of all skills and experience levels to consider. It features controls that are easy to use and to understand, and it is designed to offer incredible tones, no matter what kind of notes you play. You can get an incredible musical experience when you opt for this amp, and thanks to how cost-effective it is, you won’t have to worry about breaking the bank. 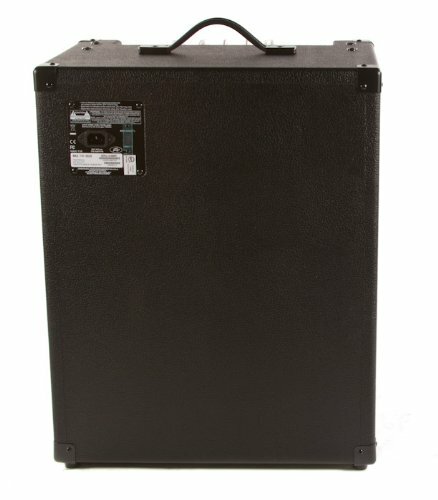 Any bass player in the market for a durable amp that has a lot to offer should consider the Peavey Max 115. While there are other options on the market that may be a little more affordable, they simply don’t offer the power and incredible control that this amp does. That’s why it’s one that you will want to consider if you are looking for an amp that you know you can rely on now and for years to come.